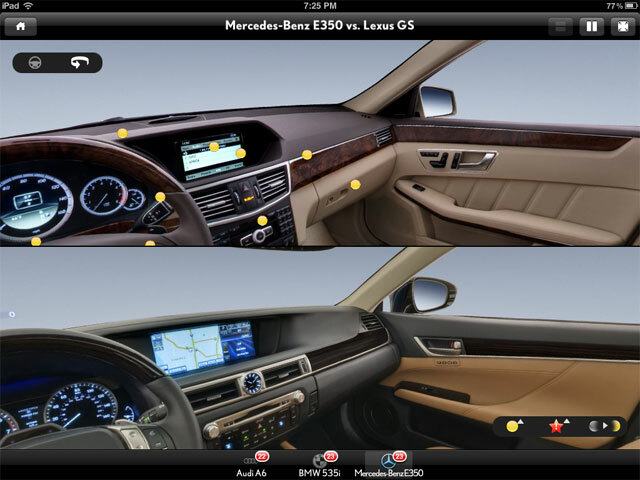 The 2013 Lexus GS app is an interactive tour containing 360-degree views that allow you to explore the many features and innovative technologies that define the Lexus GS Sedan. 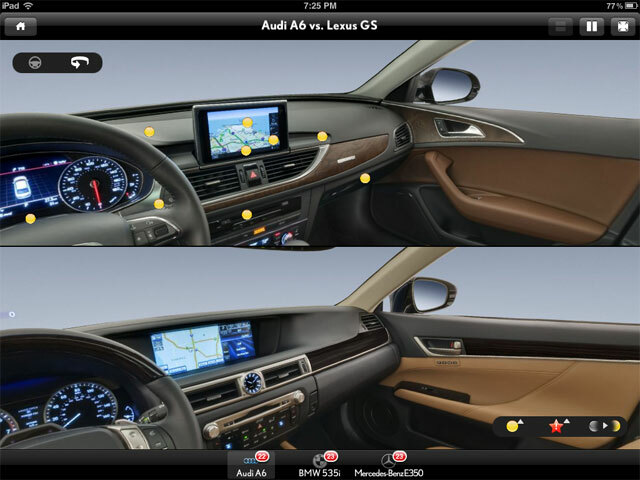 The app also allows you to experience the many advantages the GS offers over its nearest competitors in side-by-side comparisons. 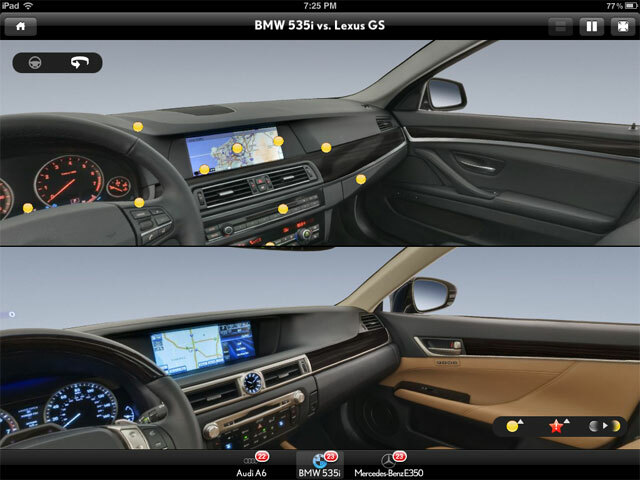 Really hope this is a sign of things to come from Lexus — these type of interactive tools are great on a bunch of different levels, and I think every model in the lineup should have something similar. krew: They all look pretty similar to me, to be honest.